A gourmet kitchen is not just about the style and décor; it should also have coordinating and sophisticated appliances to complete the overall design. R & K Custom Home Builders has new Greensboro homes that include modern kitchens with beautiful cabinets, countertops, flooring, and appliances. The kitchen is one of the most important living spaces in your home. Not only does the style and design of your kitchen contribute to this special status, state-of-the-art appliances that provide all the features and amenities also reflect your style and make your life easier. Kitchens provide a lot of value to a custom home. Selecting the right ovens and cooktops, refrigerators and dishwashers for your new Greensboro home can seem daunting. Here are some tips to help choose the right appliances to create the kitchen you have always wanted. Ovens can be either a high-performance convection oven, where a fan is used to circulate heat, or a baker oven that is more of a traditional style for baking, broiling, and roasting. Depending on your cooking style, a nice addition to any kitchen design it to include one of each, stacked or side by side, for the best options for cooking. 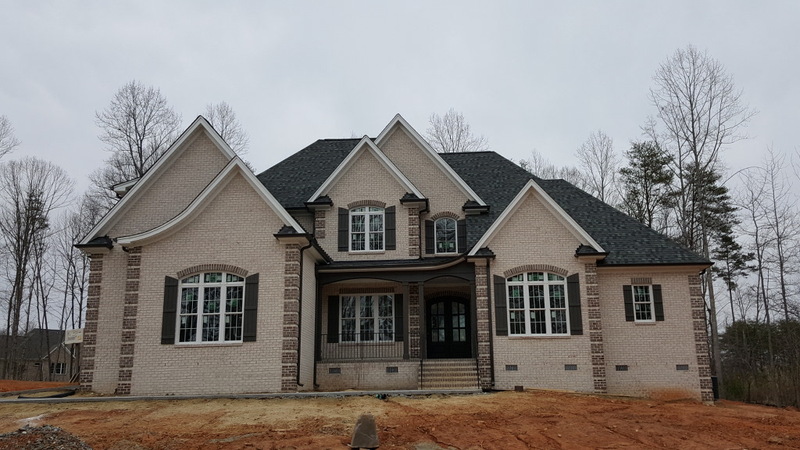 R & K Custom Home Builders provides outstanding service, high-quality materials and customized features for Greensboro new homes. From appliances to door handles, we help you select the best home features that will provide you with long-lasting beauty and reliable durability. Contact us today at 336-643-3503 to learn more about our custom homes.